Today’s guest post is by Tara Woods Turner. I met Tara on Goodreads, discussing writing, politics, political correctness, and many other subject matters she tackles with an intelligent, clear, and kind voice. She is the second non-fiction author I am proud to introduce and have on my blog. 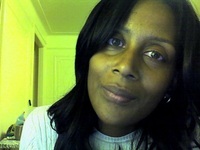 Bio: Tara Woods Turner is an author, etiquette consultant and publisher. She is founder and CEO of Turner Etiquette Press and has been a frequent guest on radio talk shows, podcasts and blog spotlights. A Salisbury, NC native, she currently lives in New York, NY with her husband and her hyperactive puppy, Catherine. Tara subscribes to the belief that great families build great societies and spends far too much time analyzing James Taylor lyrics. Could your child’s emotional boost be one etiquette lesson away? Whether it’s in a formal class with a certified etiquette consultant or from your own dinner table discussions, exposure to the finer points of social interaction can have beneficial effects on your children’s self-esteem and sense of worth. According to the American Academy of Family Physicians the single biggest element that determines how children feel about themselves is how they perceive their worth to parents, friends and peers, respectively. This puts parents squarely in the driver’s seat when it comes to establishing the crucial metrics by which children will measure their value. Understanding the tenets of etiquette can assist parents with this goal. The thoughtful, respectful treatment of others is an expression of the value we place on not only others, but on ourselves. It performs multiple tasks, becoming both result and motivation – we can treat others well because we understand that we deserve the same treatment in return. The social contract becomes a vehicle through which our children can see their value through our efforts to prepare them for lasting success. In short, by teaching good manners you are letting your children know that you want the world to see that they are as wonderful as you know them to be – a powerful symbol of the value they hold in your eyes and within the family unit. Your children will see that they deserve to reap the noteworthy rewards of possessing the character, integrity and ethics you have instilled in them. Processes that yield positive results initiate an organic desire to repeat them and children who exhibit great manners and a winning attitude experience the same phenomena. People will respond favorably to them, praising their conduct and singling them out for special privileges and distinction. Peers will seek out their company, as such children are loathe to engage in less than amiable behaviors such as gossiping, teasing or taunting. These beneficial social foci increase the chances that your children will continue the behaviors, which in turn, continue to reward them for the practice. Children who observe their table manners, for example, and are capable of polite, interesting, engaging conversation will be asked out on more worthwhile excursions than those who make no effort to do so or are unaware of the ways in which to be more accommodating and polite. The positive cycle continues! When children mind their P’s and Q’s they are more likely to stand out for all the right reasons. Respect for others, including authority figures comes with its own rewards above and beyond the satisfaction that can be derived from good behavior. Those who care for and instruct our children have an important role that is replete with responsibility. Children who are responsive, attentive and cooperative make their jobs infinitely easier. The result is an appreciation of model behavior that often manifests itself as special acknowledgements, added responsibilities and increased trust. With even basic encouragement your children will make a great impression simply by making eye contact when conversing with others, speaking clearly and distinctly and giving their full attention to conversation partners, just as an example. People notice the exemplary and a child who is keen on courtesy is sure to make the social grade. One of the best off-shoots of teaching children good manners is watching their confidence bloom. Interpreting social norms and deciding how closely to adhere to them is a personal choice and your child will make these decisions based on personality, interests, character and individualized family dynamic and value ecosystem. But a conscious regard for others coupled with respect and consideration gives your child a firm foundation on which to form a unique sense of autonomy. This develops confidence in a healthy way because it is based on choice and self-determination and it is this confidence which decreases your child’s need for group approval. The more certain children feel that they are doing the right thing in every situation the less they will look to their peers for guidance and validation, finding strength in their own choices and potentially becoming an example for less secure friends and acquaintances. So the next time your children exhibit less than model behavior remember that by crystallizing these habits they may be missing out on an opportunity to organically learn how to celebrate their best, most amazing selves! Don’t forget to visit Tara’s Website and check out and follow Tara’s Amazon Page regarding her current publication and future works. Tara, as a former teacher, I was often witness to an array of bad manners. Most kids really do want to excel and treat others well, but the models for their behavior are often less than adequate. It really does take a village to raise a child. Jeri, I bet it does take a lot out of a teacher to have to work with bad mannered children. Kudos to all teachers. Jeri, I completely agree. And although this doesn’t apply to even half of the wonderful, hardworking parents out there unfortunately there are some who not only provide poor examples for their children but encourage scapegoating by blaming poor behavior on everyone else. I know several fine teachers who have to deal with this reality. But it does, indeed, take a village – when I was a child growing up in the American South we carefully avoided misbehaving at school or church. We knew we would be scolded by absolutely every adult in town before our parents even got wind of it lol. I don’t really know a lot about kids, but this seems like some great information. Learning by example and being rewarded for positive behavior makes a lot of sense. Oh, and Denise, I see our zombie novel is being featured as the weekly book – thank you for doing that! You rock! ABFTS, I don’t know a lot about children either other than there are plenty of misguided children out there. Thank you 🙂 Again, I agree. Studies have shown that the one thing employees want from their employers is appreciation – not raises or promotions. It is human nature to want positive feedback andour children are no different. When they receive praise for exemplary behavior they really, truly shine. I think this makes a lot of sense. When a child learns etiquette, then they feel like they have more sense of worth because they know this politeness and knowledge that others may not possess. They then also know how to approach people in a controlled, easy-going manner which they know will not be offensive. There are only benefits!